With the Netflix original film debuting on January 25th, I figured now would be a great time to check out and review the three Polar volumes, available at your local comic shops, bookstores and the Dark Horse Comics app. Being a big fan of Victor Santos’ work, I am surprised at myself that it has taken this long to check out Polar. So, let’s jump right into Volume 1 of Polar: Came from the Cold. The book, in stark black, white and orange/red, kicks off with a snowy backdrop in the seemingly middle of nowhere, as a team is mobilizing outside, and a seductress is ready to make her move. But things go sideways with a BLAM as the targeted man shows why he is indeed a target. Enter the Black Kaiser, one of the world’s deadliest hitmen who merely wanted to retire. But the organization he worked for last is out to tie up loose ends, which includes eliminating the Kaiser. But that is far easier said than done, as there is a reason the man is a legend in the underground. Santos crafts a pulp story full of action, intrigue, and tons of blood. More to that, he shows how to expertly use the comic book medium to tell one hell of a tale. Crafted in landscape format, the book looks and feels different than most books on the shelves. I would call it a cross between Sin City and John Wick, which is a fantastic thing to be. The use of angles, zoom shots, silhouettes, and more gives the book a very cinematic feel to it, which makes for a delightful read. The Black Kaiser is one of those tough as nail characters you want to see win, despite the impossible odds. He is an artist when it comes to the art of death, and it shows. Going up the ladder to who pulled his card, the Kaiser is in for the fight of his life. I hope the Netflix film lives up to this incredible book, and from the looks of the trailer, it looks to be ready to hit its mark. 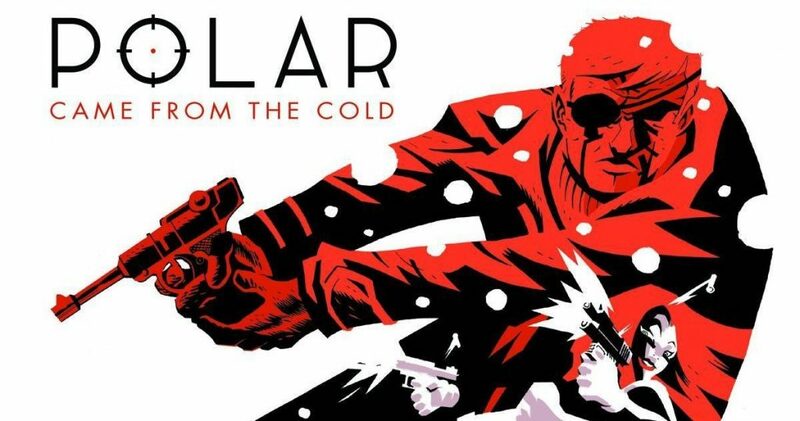 Polar is one of the best action comics I have read, and one of the best examples of a master of his craft at work in the comic book art form. Check back reviews on Polar, Vol. 2 and Vol. 3, and go pick up Volume 1!